Born: 1978. Living in: New York City, Norway. 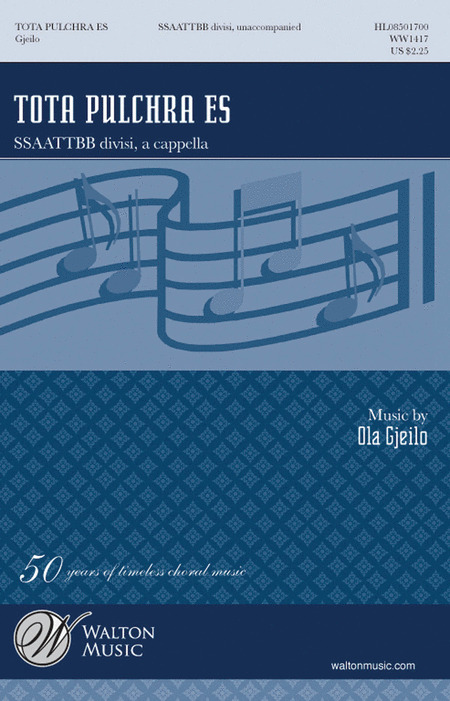 Ola Gjeilo is one of the most frequently performed composers in the choral world. An accomplished pianist, improvisations over his own published choral pieces have become a trademark of his collaborations across the world. Although Norwegian by birth, it is perhaps Ola's adopted country of America that has influenced the composer's distinctive soundworld the most, evolving a style that is both contemporary and familiar; thick harmonies and rich textures recall film score - music that forms a major part of the composer's inspiration. Ola grew up in a musically eclectic home listening to classical, jazz, pop and folk, a broad background he later incorporated into his classical composition studies at The Juilliard School, and the Royal College of Music, London, and currently as a New York City-based full-time composer. "Unicornis CaptiIvatur" is an exciting, adventurous piece sets an unusual Latin text to music that ranges in style from renaissance dance to shimmering chorales to chant, and in texture from unison to an expansive eight parts. Requiring highly developed musicianship, this work is sure to become a memorable concert highlight. "Sanctus" is atmospheric and intense, featuring contrasts of ethereal melody lines supported by stately, rich harmonies. Unified by a repeated, modulated motif in the "Hosanna" section, this sensual yet spiritual Sanctus from inimitably original Norwegian composer Ola Gjeilo promises to be a highlight of an advanced choir's concert or service. While not easy, repetition of rhythmic and harmonic patterns coupled with the familiar Latin make this much more accessible than it appears. Completely rewarding. Inimitably original, Norwegian composer Ola Gjeilo's setting of the Latin text to Psalm 126 "Nisi Dominus" exudes a musical intensity similar to Orff's Carmina Burana. 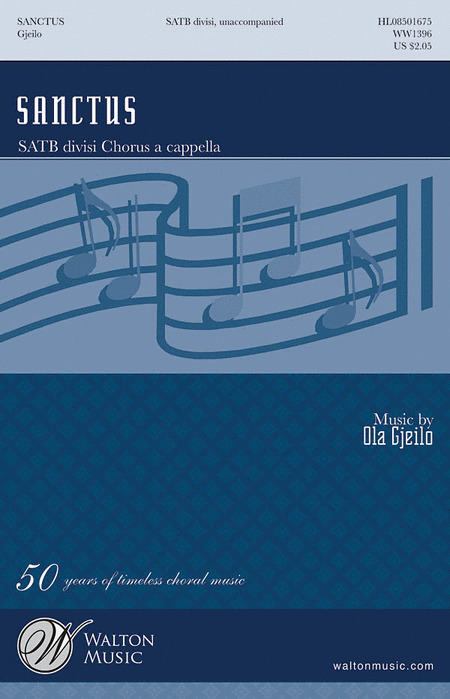 Musically and vocally challenging, it offers great rewards to the most accomplished choirs. A stunning work! "Ubi Caritas" - With a sound at once modern and medieval, this remarkable setting of the familiar Latin text starts in unison and evokes plain chant, and gradually unfolds into wider harmonies and more modern harmonic language. Not unduly challenging in terms of vocal range, it's readily accessible to good high school mixed choirs for concerts or festivals at any time. Ola Gjeilo is a rising star in modern choral music and has already established a stellar reputation for original and creative work. This is a second collection of his a cappella Christmas arrangements. The superb, fresh setting of "The Holly and the Ivy" will bring out the very best in your choir. 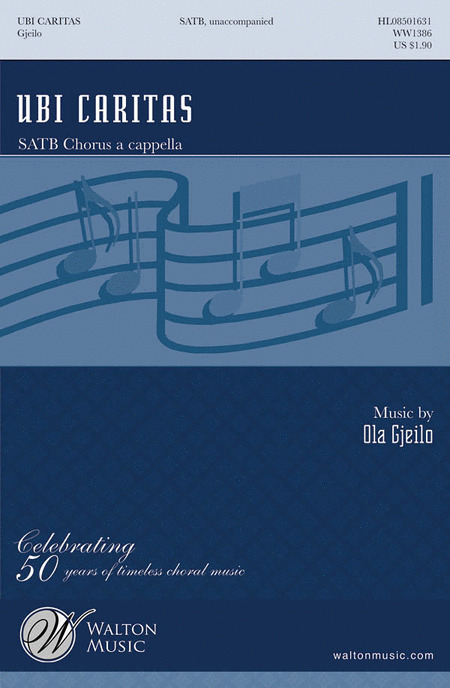 Accessible ranges and simple divisi makes this joyous arrangement suitable for high school level and beyond. The familiar melody of "Away in a Manger" is introduced by a soprano solo, sung by either adult or child. The choir joins with smooth, deep textures that set this exquisite arrangement apart. At the same time innocent and sophisticated, it is equally suitable for school or church. Not to be missed in your holiday program. 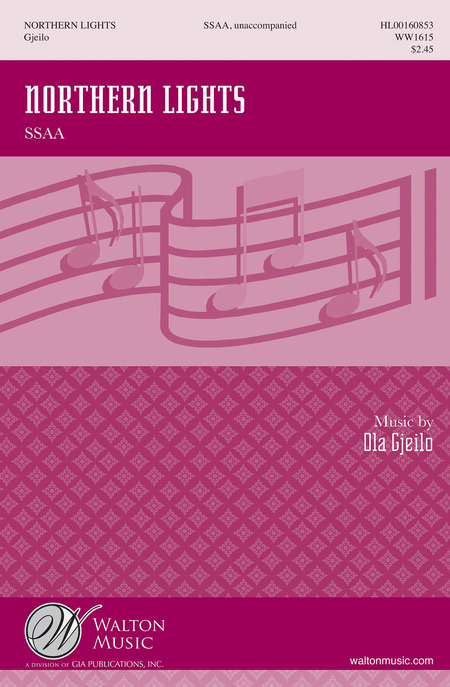 This haunting work from Ola Gjeilo for women's chorus from the album Winter Songs will be a be a beautiful addition to your program any time of the year. Can be performed with piano only or with piano and string quartet. 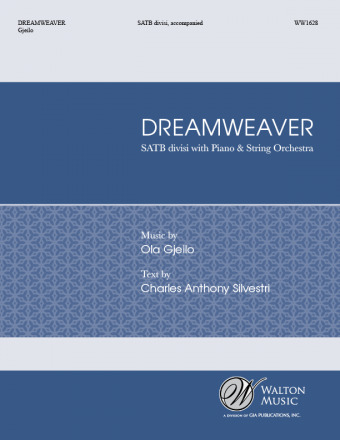 Full score and parts for WW1628 Dreamweaver. The text for Dreamweaver is based on parts of the well-known Norwegian medieval folk poem Draumkvedet, an epic ballad that has a lot in common with Dante's The Divine Comedy. The protagonist, Olav �steson, falls asleep on Christmas Eve and sleeps for thirteen days. He wakes up and rides to church to describe his dreams to the congregation about his brave, beautiful, terrifying, and ultimately redeeming journey through the afterlife. For this composition, the Draumkvedet poem has been adapted into a playful interpretation in English penned by Charles Anthony Silvestri. 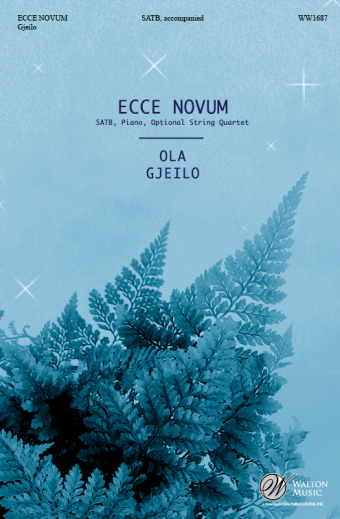 This gorgeous setting of the Ecce Novum text by Ola Gjeilo reflects the gentle wonder of the story of Christmas. From Ola Gjeilo's album Winter Songs. Can be performed with piano only or with piano and string quartet. A flowing piano accompaniment and melody that capture the mystery of this beautiful Rossetti text. From Ola Gjeilo's album Winter Songs. Can be performed with piano only or with piano and string quartet. Ola Gjeilo has pulled from his Norwegian heritage and used the lovely Solrenning Saele tune to set a new text by Charles Anthony Silvestri. The text speaks of winter as a time of reset; a breath before the rebirth of spring. 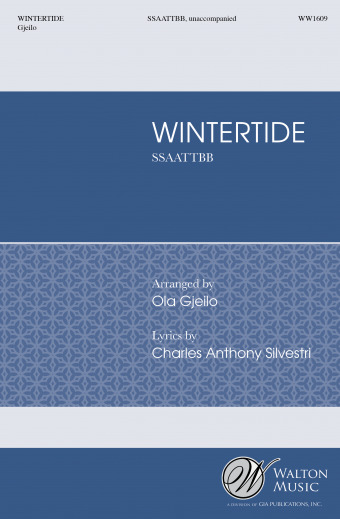 An excellent secular work for your winter concert. 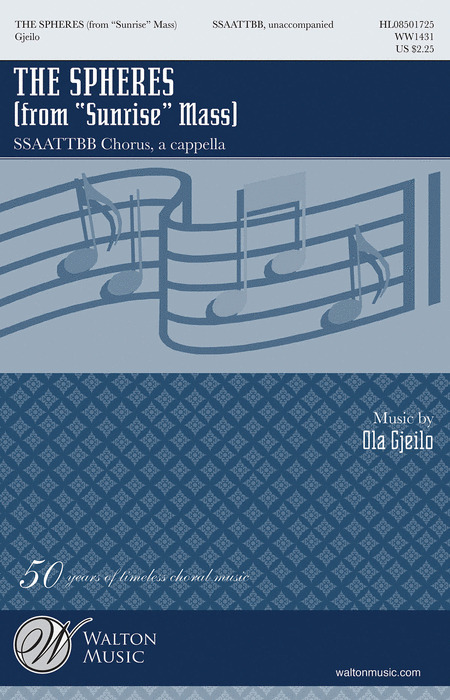 The familiar melody is introduced by a soprano solo, sung by either adult or child. The choir joins with smooth, deep textures that set this exquisite arrangement apart. At the same time innocent and sophisticated, it is equally suitable for school or church. Not to be missed in your holiday program. Duration: ca. 4:10. Suitable for Christmas concerts, this gem from rising young Norwegian composer Ola Gjeilo will challenge and enchant advanced choirs. This moving, lush and symphonic work with piano and string quartet has a contrasting brighter, lighter feel than Dark Night of the Soul. Added contemporary text describes the divine spirit of all art. An outstanding work! 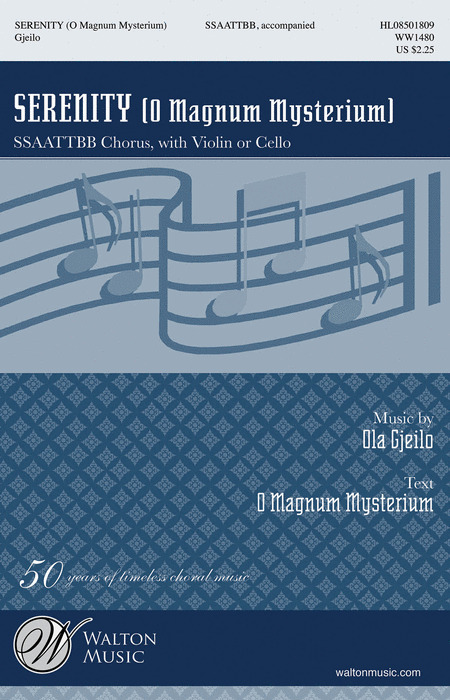 Available separately: SSAATTBB, String Quartet (Full Score and Parts), String Quartet (Full Score only). Duration: ca. 10:30. 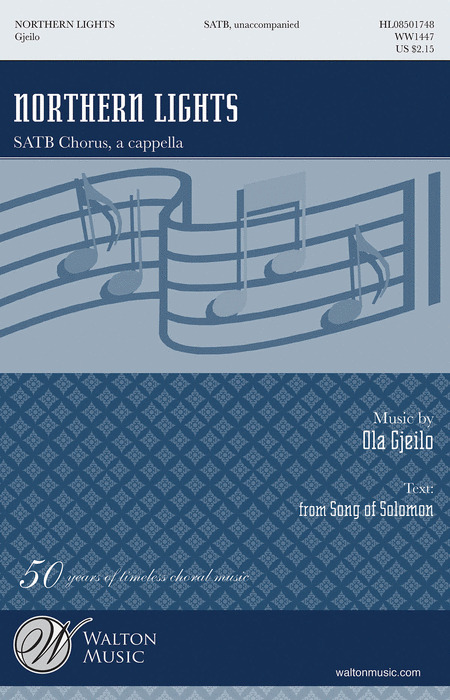 Using the Latin Pulchra es amica mea text from Song of Solomon, this composition is a great selection for high school women's choruses and above. With music inspired by the aurora borealis atmospheric lights, this song will render a most impressive performance. 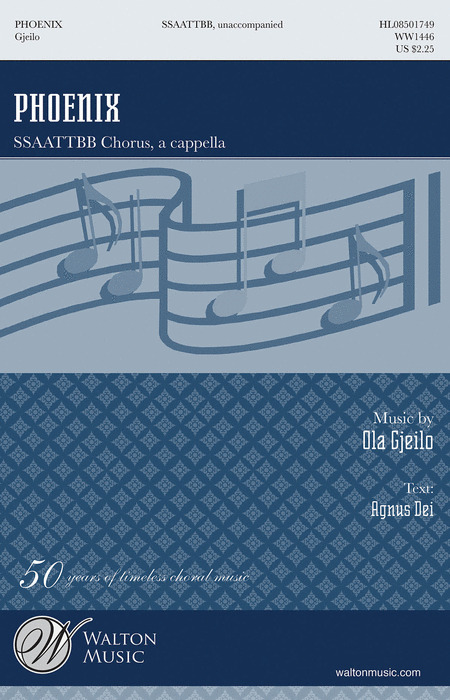 SSAA version written for Elektra Women's Choir. 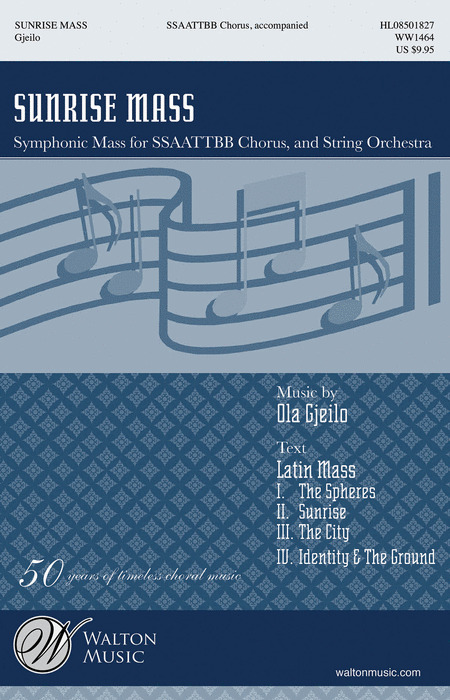 Written for larger, mature choirs, Gjeilo uses the Latin "Agnus Dei" text as support for this symphonic-sounding choral work. With its beautiful color, intonation and phrasing, it is a great choice for advanced high school, college and beyond. This work is atmospheric and intense, featuring contrasts of ethereal melody lines supported by stately, rich harmonies. Unified by a repeated, modulated motif in the "Hosanna" section, this sensual yet spiritual Sanctus from inimitably original Norwegian composer Ola Gjeilo promises to be a highlight of an advanced choir's concert or service. While not easy, repetition of rhythmic and harmonic patterns coupled with the familiar Latin make this much more accessible than it appears. Completely rewarding! This stunning work requires a mature SSAATTBB choir and a string soloist to fulfill the composer's intentions. Looking to write an a cappella work with a symphonic, abundant feel, the Latin text was selected for this spiritual concert work. Duration: ca. 6:00. This spiritual, extended work uses the liturgical Latin text. The four movements bring us on a metaphysical journey from the heavens to earth, from the echo of The Spheres (Kyrie) to Identity & The Ground (Sanctus) with its earthly themes. Neither expressly sacred nor secular, this is an exquisite work for advanced high school level and beyond. 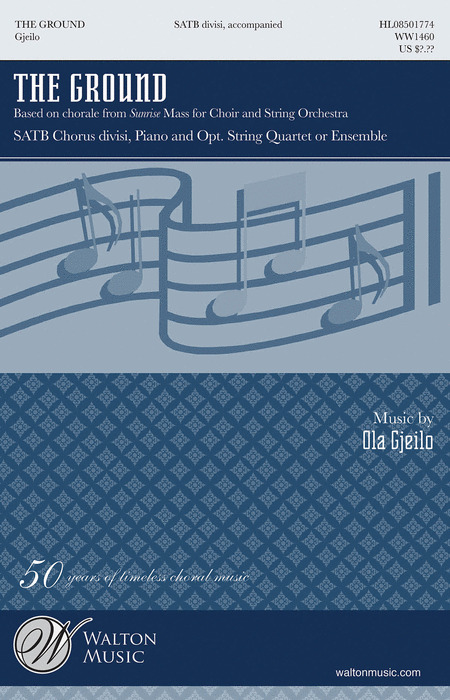 Available separately: SSAATTBB, String Orchestra (Full Score and Parts), String Orchestra (Full Score only). Duration: ca. 32:00. 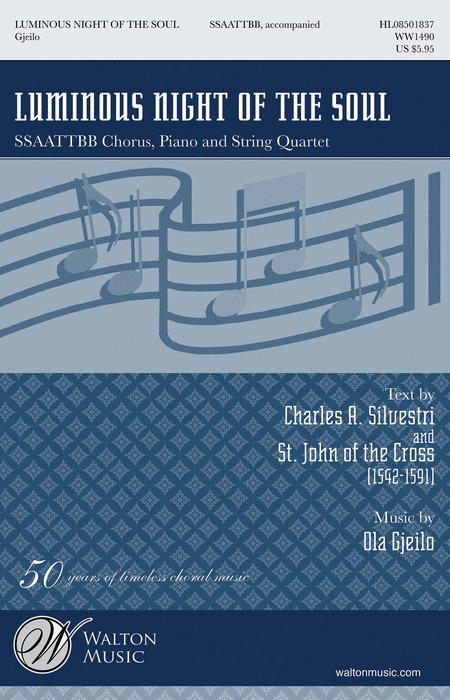 Based on a chorale motif from the last movement of his Sunrise Mass, the composer has developed the beautiful melody into a free-standing anthem. Optional String Quartet or Ensemble available. Duration: ca. 3:30. A stunning composition that combines three sections, all on the beautiful Maria text, each section with its own expression. It gives the opportunity for the choir to express phrase and dynamics, text and music - a truly rewarding experience. Scenes from Gjeilo's majestic native Norway inspired this contemporary poem. Words and music are fused in a poignant, yet lyrical work with a pulse of its own. An excellent festival choice for mature women's choirs. Full score and Optional String Quartet (or ensemble) available. Duration: ca. 3:30. 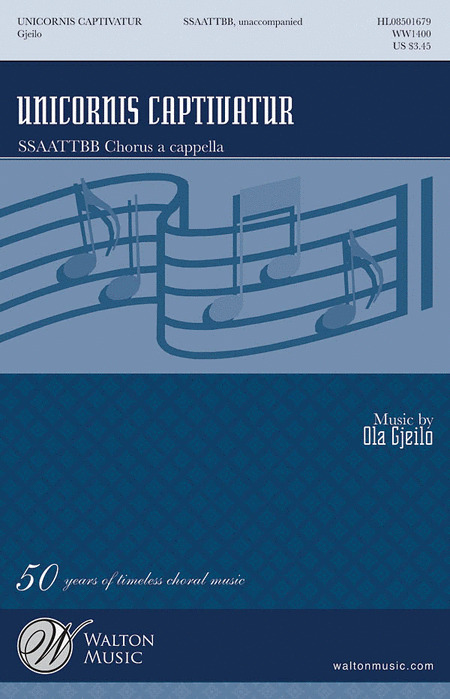 With a sound at once modern and medieval, this remarkable setting of the familiar Latin text starts in unison and evokes plain chant, and gradually unfolds into wider harmonies and more modern harmonic language. Not unduly challenging in terms of vocal range, it's readily accessible to good high school mixed choirs for concerts or festivals at any time. Looking for something absolutely extraordinary? This exciting, adventurous piece sets an unusual Latin text to music that ranges in style from renaissance dance to shimmering chorales to chant, and in texture from unison to an expansive eight parts. Requiring highly developed musicianship, this work is sure to become a memorable concert highlight.